Whenever people find out that I am a foodie, most ask me if I have been to Kanto Freestyle Breakfast. The place seems to be very popular to yuppies and almost all of my colleagues know Kanto. And when I went for the first time, I realized why it’s such a hit. The place was slightly packed (considering that it was a Wednesday night) but my colleagues and I easily got a table for three. The first thing that I noticed when I saw the menu was its super affordable food! No wonder people love this place! I ended up ordering: Tinapang Galunggong (PHP95), Ham and Cheese Omelette (PHP70), Grilled Buttered Suman with Ube, White Chocolate and Goya Ganache (PHP75) and extra bacon (PHP25) simply because bacon is LOVE. The Tinapang Galunggong came with garlic rice, fried eggs and tomato pesto. For its price, it was such a steal! The fish wasn’t that salty and it went really well with the tomato pesto. 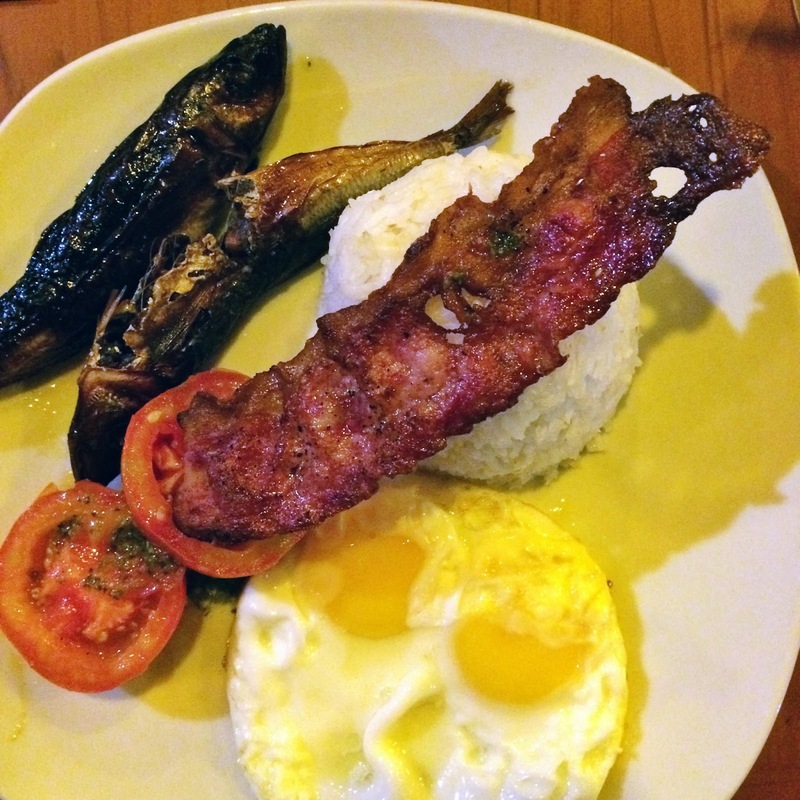 I also loved the crispy bacon which was divine with sunny side up eggs. 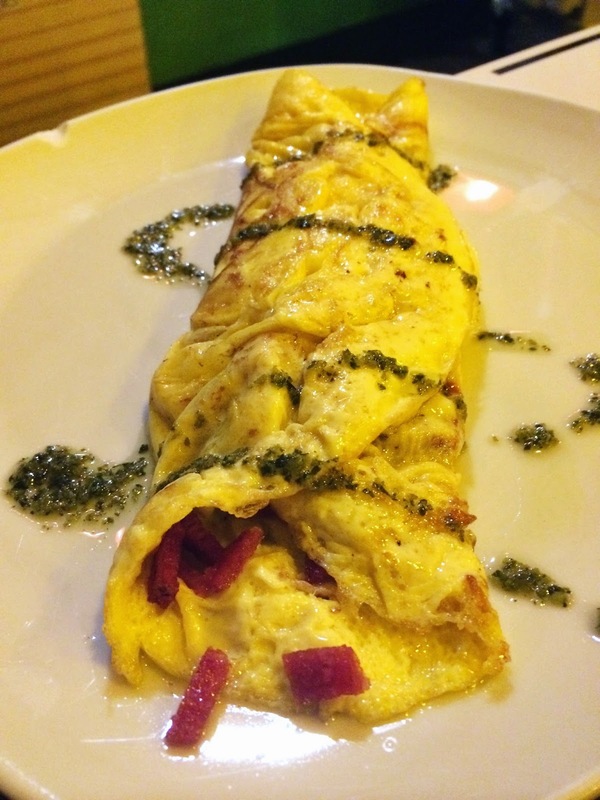 The Ham and Cheese Omelette was great too. It was oozing with cheese so cheese lovers will love this! Warning: You have to eat this with rice as it could be too salty. The dessert was something interesting. The suman was slightly crispy because of the grilled sides. 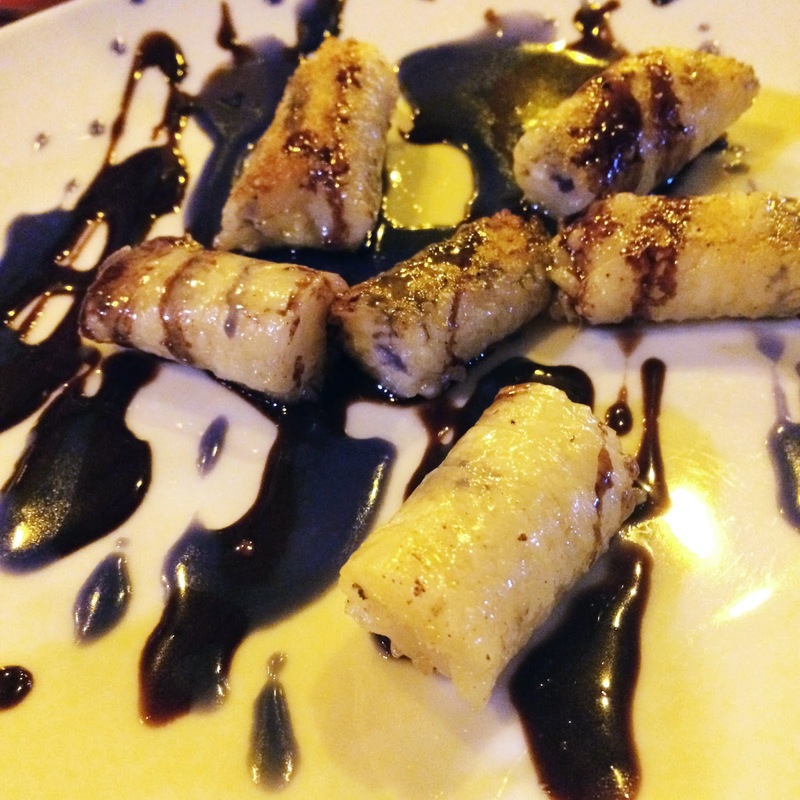 I never had suman with ube, white chocolate and goya ganache before so I had no basis for comparison. It tasted fine and it wasn’t too sweet making it a pretty good dessert. But I wasn’t too fond of it. I had a great time at Kanto. Service was quick, food was pretty good, and price was crazy affordable! I left with a happy tummy and wallet. 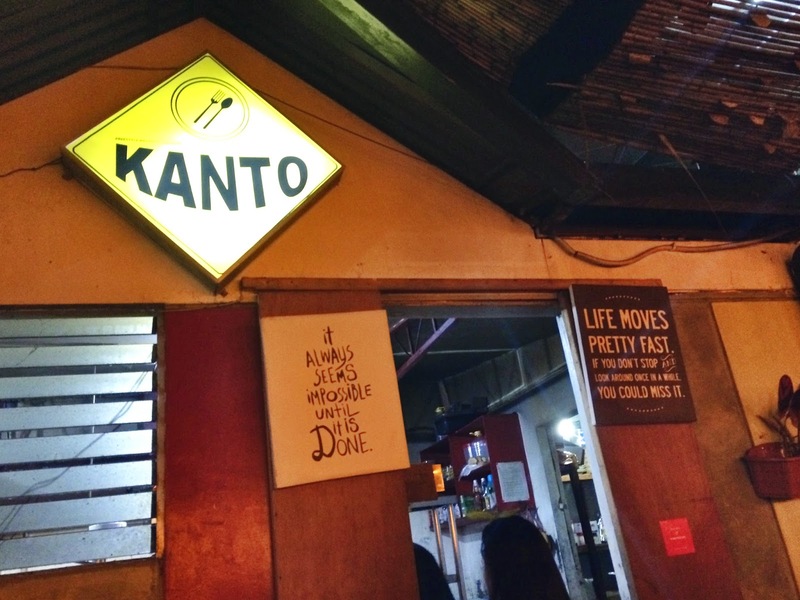 Kanto Freestyle Breakfast is located at 1st Street, Barangay Kapitolyo, Pasig City. 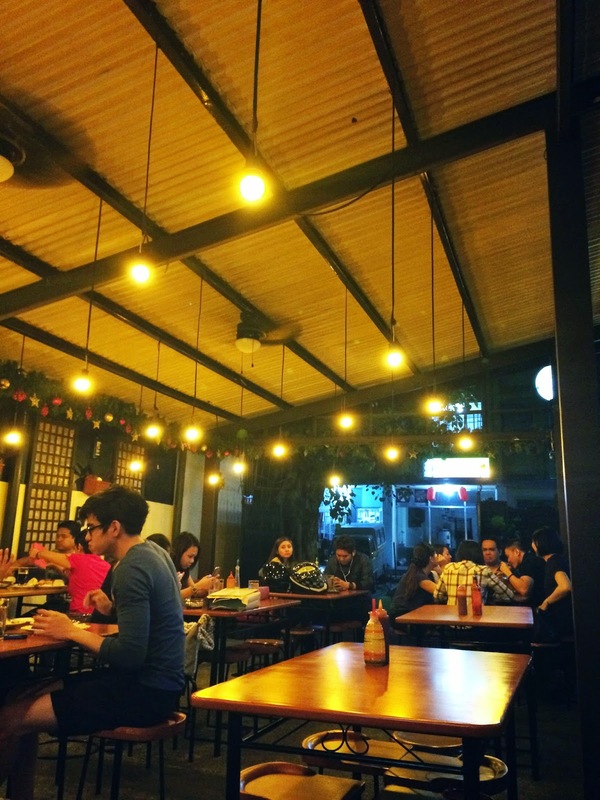 It is near St. Gerald’s and Kainan au Gusto. I always wanted to go here!